Available in limited quantities at select ALDI stores in Arkansas, Florida, Iowa, Illinois, Missouri, New York, Ohio, Oklahoma, Pennsylvania and Texas. offers you great features and excellent value. Intel® Core™ 6th-generation processors have redefined the standards for PC performance and thanks to the integrated Intel® HD graphics, you will experience rich colors in razor-sharp quality. Windows 10 Home is already preinstalled on this PC. The easiest, fastest and most secure Windows of all time, the fast-booting Windows 10 ensures a fantastic experience both online and offline. Windows gives you the absolute best experience for quickly getting things done. Start fast with all your favourite apps and files immediately at hand. Quickly take action with meaningful notifications collected in one place. And stay focused with easy ways to snap apps in place, create new desktops and organise your screens just the way you want. Faster to done: start fast and finish first. Windows gives you the absolute best experience for quickly getting things done. A 30-day trial version of Office 365 for new customers is pre-installed on this PC. McAfee LiveSafe – free 30-day trial version preinstalled. Your data. Your identity. All your equipment. Completely protected by McAfee LiveSafe. 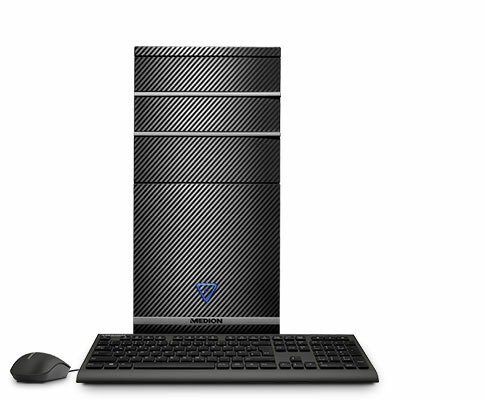 The 6th generation of Intel® Core™ processors have redefined the standard for PC performance! The ultra-fast processor with its fantastic performance characteristics is simply waiting to uncover new dimensions of productivity and creativity together with you. In combination with the advanced functions on Windows 10, the 6th generation Intel® Core™ processor offers you the best prerequisites for letting your imagination run free and discovering new possibilities. MEDION is Germany’s leading manufacturer of consumer electronics and a best-in-class provider of digital services. For more than 25 years, MEDION has strived to make innovative, functional and high-quality products accessible for everyone. MEDION reaches that goal by providing great value-for-money with devices that feature state-of-the-art technology and cutting-edge design. In order to be able to make optimum use of this website, we kindly ask you to accept cookies. Cookies are small (text) files. When you visit the website aldi.medion.com, small text files are saved on your peripheral devices (computer, tablet, etc.) and small text files that were saved in the past by MEDION® are made accessible. The cookies are required to enable you to enjoy a trouble-free visit to the website. Basic Anonymous statistics Social media etc. User-input cookies (which follow the data input of the user) are saved for a time period of 12 months. Analytical cookies from third parties (Webtrekk) (for analysing and improving the user friendliness and quality of the website) are saved for a time period of 60 months. Cookies for sharing social plug-in content (addthis) (for enabling content to be shared via social media) are saved for a time period of 24 months.